She’s getting married! 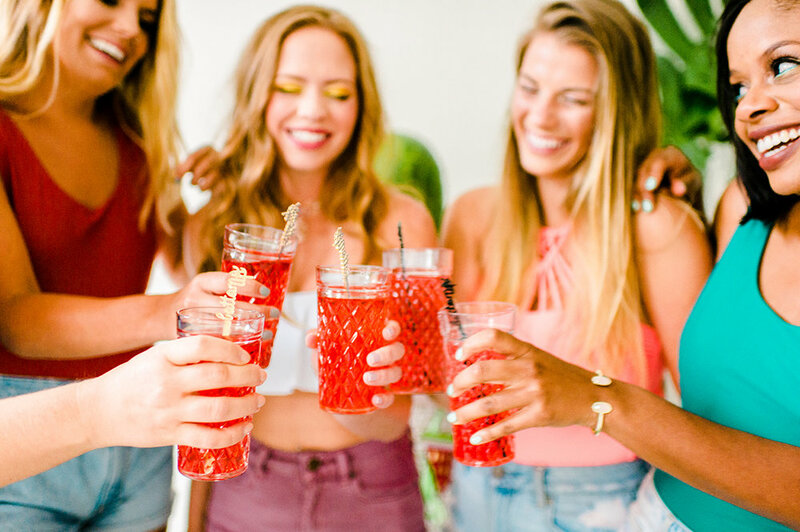 What better way to celebrate the soon-to-be bride, than with her closest friends at a citrus themed bachelorette party while catching some rays? This styled shoot features a bachelorette party for the bride-to-be who is fun, modern and loves color. Bright pops of summer colors, tropical leaves, and vintage accents from Something Vintage Rentals all came together to make a unique styled shoot at the bright and industrial Lightbox 209 in Annapolis, MD. 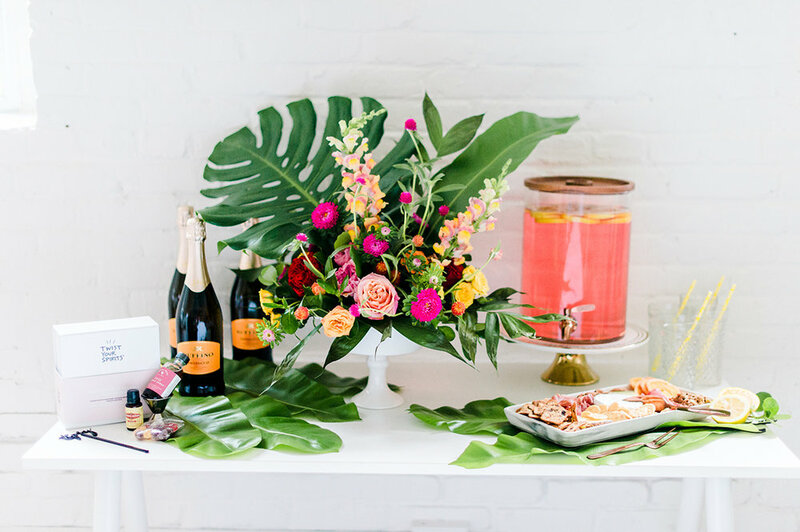 From the bright lemon colored invitations by Minted, fruity wedge cookies by Pink Skirt Desserts, and flawless florals by The Poppy Field, this citrus themed shoot paired summer weather with its seasonal fruits; lemon, lime, orange and watermelon. The bride and her best friends enjoyed the day sipping on cocktails from their watermelon keg, playing Jenga, and splashing around in fruity floats by the pool. The party was accented perfectly with custom towels by Mission Beach Towels, canvas “Time to Party” favors and little drinking men by Wedding Bags. Now it’s just time to get married! !